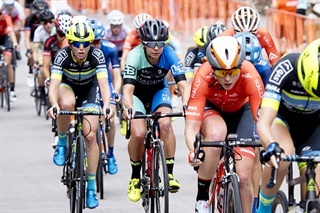 Lessons learned as well as future opportunities for professional cycling in Vail will be discussed by the Town Council during its regular evening meeting on Tuesday, Nov. 20. The discussion will include an overview of feedback received to date following the town’s sponsorship of two stages of the 2018 Colorado Classic held Aug. 16-17. The agenda item is listed as 4.1 on the meeting agenda which includes opportunities for public comment. Representatives from the town staff and Vail Valley Foundation have been collecting feedback from local organizations, including the Vail Economic Advisory Council, Vail Commission on Special Events and Vail Local Marketing District Advisory Council to help shape preferences for a year-two event with the Denver-based organizer, RPM. During the 2018 Colorado Classic, Vail hosted the circuit race and time trial stages with the remaining two stages held in Denver. For the Vail stages, the Vail Valley Foundation served as the event’s local organizing committee, while the Town of Vail supplied $110,000 in sponsorship funding as well as in-kind services of $109,000. The Vail Local Marketing District provided an additional $200,000 in sponsorship. For additional details, contact Mia Vlaar, the town’s economic development director, at 970-479-2454, or review the staff memo on this topic.